Equipment Sales | Transport Equipment Inc.
Transport Equipment is number one in Chicago and one of the top companies in the entire state of Illinois because of the quality products and services we offer. 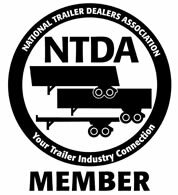 We have garnered a stellar reputation in trucking equipment sales because of the quality products and services we offer and the fact that we sell only the top brand names in the trailer and yard truck industry. We take pride in selling only the highest quality vehicles while making sure that they are also in top mechanical condition. Please take a look at our inventory below. For financing customers, download a credit application here!